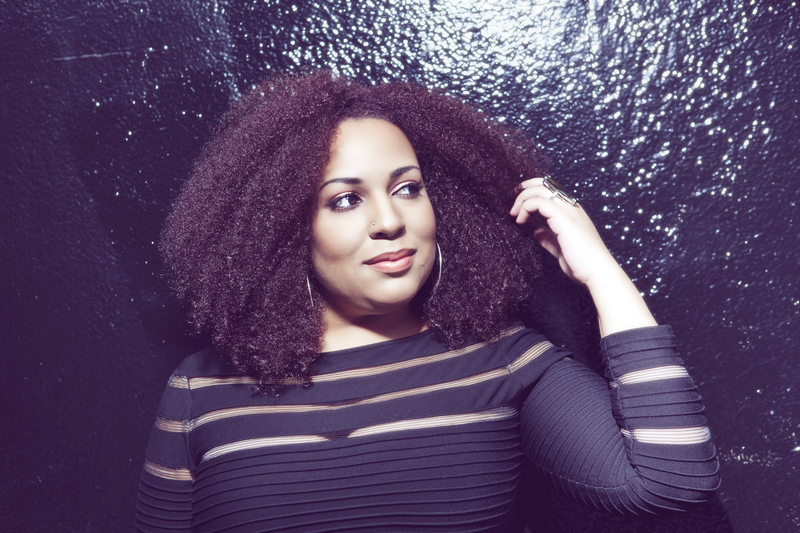 ATLANTA, GA – Chantae Cann is an indie singer/songwriter who has shared the stage with countless artists and musicians including Snarky Puppy (Family Dinner), Robert Glasper, among a host of others and is currently one of the touring singers with India.Arie. She shares with us why music heals, the importance of inspiration in her life, and a little about the development of her artistry. Music lover, life appreciator, inspiration junkie and weird person. What do you mean by inspiration junkie and weird person? I pretty much crave inspiration. I can probably be inspired by any single solitary thing. I can probably see a bug crawling on the street and think “that bug is taking its journey and he’s going through life the best way it knows how” – I’m inspired. For some reason my eyes are kinda built like that and it’s gotten more intense the older I get. I just see everything as a lesson and you realize things aren’t permanent, and so you try to get the most out of every situation you’re involved in. Whether good or bad, big or small, significant or as insignificant as it gets; inspiration comes from everywhere. It’s all in what lenses you are looking through. What are your inspirations currently? All of life inspires me at any given point. We all have our things that we like on Netflix and Youtube or TV, etc, but right now I’m into watching families on Youtube. There’s this fun thing about these families that have between five and ten kids. How they operate as a unit and how each person is so unique, but when they come together they’re one. I guess I’m obsessed with that idea. How everyone being uniquely them but belonging to a larger group, community, or the bigger picture. That’s kinda how I view life. We’re all uniquely made and individually woven in our DNAs, specifically unique to us, but we are all a part of this world and we literally all have the same thing. We are also all a part of something that is absolutely way bigger than what we can really describe. That inspires me daily in music, art, and the way that I connect with people. I definitely take a lot of joy connecting with people that I wouldn’t normally connect with on a daily basis if I didn’t do what I do. I’m just really thankful for the opportunity as well. It cultivates the extrovert that’s still evolving in me. As a child, and even now, I still have introvert ways. I was super shy as a teenager/child, I would just hide in a corner. Me doing the artist thing has forced me to deal with that and meet some really cool people in the process. To me your unique tone vocally is what you’re born with mixed with your influences, raw ability, and singing regiment. All of that plays into what kind of vocalist you may or may not be. In the beginning I found myself being in love with music at such a young age, and I was the only one out of my friends who were obsessed with it as much as I was. They would play outside and I would just want to sit and listen to music. My mom was a music teacher at my school from kindergarten to eighth grade. She was a singer, she was over the chorus, the band, played saxophone, she was in jazz in college. She was responsible for the raw talent part as well as me having a general knowledge or music and music theory at a young age. She taught me how to read music, and play piano, etc., so I credit her for that. My dad, on the other hand, was not the raw talent musician; he could hear extremely well and his music collection was so broad. He had everything from P-Funk to Tupac to Mozart to all this jazz stuff. I come from a bi-racial family, my mom is black and my dad is white and there’s diversity in that even of itself. With my dad I was just always amazed at the music that he had. You would never think a regular white dude would have so much music but he did and I think him exposing me to that cultivated me hearing music in different ways and hearing different styles and allowing that to kind of flow into what I did. It was not one sided at all. It was like a smorgasbord of music from all over the world. Every time I would find out a new artist, or a new song, or something new musically, it would open me up to another level and I couldn’t help but be influenced by that. Is there an art to collaboration? I believe that there is an art to connecting with people that will bring out a unique side of you that may or may not be brought out otherwise. I say that because, I have the opportunities to collaborate with so many great artists. I hear the songs that they send and a lot of times it’s not anything that I would have done on my own. It took someone else from a different musical perspective to kind of pull me into their world for a while and create something totally original with me and that person. It’s viewing music as a conversation. Whoever the conversationalists are will say something totally unique and set a part for that certain situation. That’s kinda why I love collaborating a lot. You’re your own unique person, I’m my own unique person but when we come together we create something that’s beyond the both us. It can be really powerful in certain situations. I’ve been blessed to work with people that I really, really admire. Have you ever said no to collaborating and why? Absolutely I’ve said no. This is something that’s become more and more prevalent and a little difficult to deal with if you don’t do it the right way. It’s easy for people to always hit you up and say “Hey, I wanna get you on a song”. I can’t tell you how many of those I get a day. I really appreciate getting to connect with different people/artists that I may not have heard of. I’m all for the indie struggle, I’m with it, I’m in it, and I totally support it. But, I’m only one person and it’s totally impossible for me to be on every single person’s album that request it. So, there are a lot of times where I have to let people know that this is not the right timing or is not representing the Chantae Cann Brand. But nine times out of ten it’s just gonna be because the timing isn’t right and I have to save that energy for collabs that are on a mutual basis. I don’t like the feeling of “I have to say no to twenty people today ” but at the same time you have to make room for what you know you’re supposed to be doing. You have to be led. I’m very intuitive to people I’m supposed to be working with, and everybody doesn’t make it through that door, you know? What’s been the biggest thing you’ve learned from India.Arie so far? I’ve been with India since 2006. The whole thing has been a learning process. To be behind the scenes, in front of the scenes, and seeing everything you have to go through as a major touring artist was amazing. It was like I was being prepared for my future. I took good note of what to do, what not to do, how to treat people, how to be engaging, how to choose things that are best for you, how to be artist and business minded at the same time, how to be uniquely you while still relating to a bunch of people that are uniquely them as well. I guess the biggest lesson is how to do the best in choosing what’s right for you the first time around. I’ve seen a lot of instances where the best thing wasn’t chosen right off the bat, then it comes around later and it’s like: “okay I definitely had the power to choose at the beginning why didn’t I do that?” I lost a little time and I didn’t necessarily didn’t get the results I wanted and I could have.” At any point, no matter what people suggest to you, at any point you can choose what’s best for you. You say that “music heals.” What does healing mean to you and when did you start believing that? I probably started believing it before I was able to articulate it. From a young age I realized the captivating power of music. I realized what it was to be going through something and then listening to a song and then being encouraged, being fulfilled, and being strengthened. It wasn’t until most recently that I was really able to articulate what it is and I’ve realized that there was a lot of people that felt the same way that I did. On a personal level; when people come to me at a church or non-church event that I’m singing at, and they say ‘your music is healing’ – that means the world to me. That’s the point of all of it. The gifts that we’re given are bigger than us. Nine times out of ten they are for other people first and foremost. Whenever that happens, I count it as such a blessing that God used me to touch somebody’s life because He’s used so many people to touch my life in that same way. Is there a transition between being a background vocalist/featured vocalist to being a main artist? Yes there is. My transition has been a super gradual thing and I think that’s a good thing. I think I had my first real show in 2008-ish and then started traveling with India, and I still am singing with her. I’ve been going back and forth between them (background and doing my own shows) for the past two years. However, it’s been a transition and not an abrupt start. Some people choose to make a jump from background straight to being a main artist, but I think if you can do a slow gradual thing it will allow you to: still learn from the background singing situation, (because that’s fundamental and foundational) and at the same time you can use that in your own arena and personal artistry. Before you know it, you go from having all of your eggs in the background singing basket that you can slowly starting putting one egg at a time in the artist basket. Then you come to a point where you say “okay, I’m not accepting any more background gigs.” But it’s been years, over a four or five year transition – so you need to know when to hold them and when to fold them. What can we expect from your upcoming release? It’s going to be an extended EP. No matter how many songs it is, I’d like to put out a complete body of work. It’s going to have eight to nine tracks with four/five full length tracks with the others as interludes, instrumentals or artistic pieces. I’m so inspired and influenced by the arts now more than ever. I’ve really gotten into poetry and film, and I love how you watch a movie and the score makes you want to be emotional and introspective. You know that feeling where you watch a good movie and you stay in your chair and think about what you’ve just watched. There are some pieces on the album that puts you in the mindset of a movie. It’s a short body of work. Short, concise and impacting. What would be your advice to artists who want to do what you’re doing? First and foremost it is very important for you to find out what you want early on. Sometimes the way to do that is to know what you don’t want, what you’re not willing to compromise, what things you don’t see yourself doing and stay away from that. You have the power and authority to choose how you want this to go. Yes there are some things in your life that you don’t have control over however, this is your career, your purpose and your life so you have the power to choose early on. No matter what people try to suggest to you, con you into, don’t compromise. Know that if it didn’t work one way, it will work another. A lot of times I see artists try to do this gimmick thing. If you are truly respecting your craft, respecting the art/love for music, and wanting to cultivate it, then you wouldn’t have to do that. People will notice you being passionate about what you’re doing and they’ll notice that about you and that will be your light. You won’t have to shine it on yourself because people will be drawn to what’s already within you if you are true and genuine and authentic about that. You can go to her original site HERE, buy her single “Da Da ‘n Da” HERE, and follow her on Facebook and Twitter.